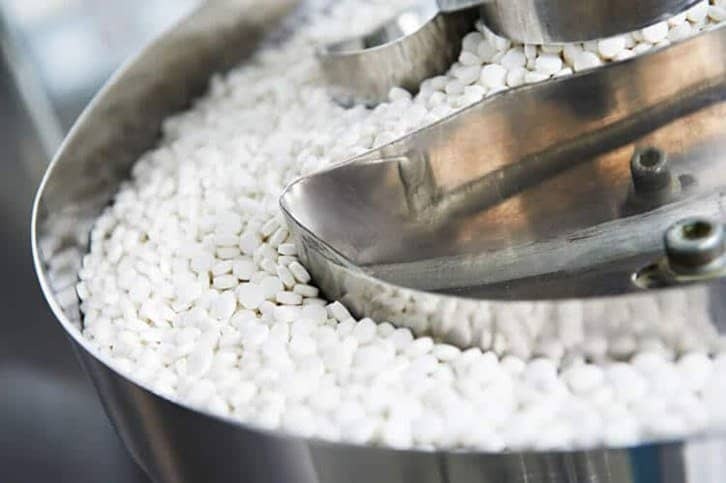 The pharmaceutical manufacturing and medical device manufacturing industry in the United States is one of the worlds largest. The country is the largest single market for pharmaceutical products in the world – accounting for approximately 40% of world pharmaceutical sales according to statista.com. In 2014, that equated to approximately $365 million. These strong sales have contributed to the growth of a huge manufacturing industry. 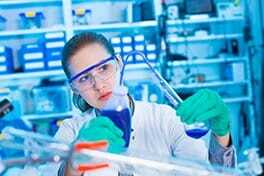 Select USA, a federal level initiative tasked with “attracting investment, increasing employment”, estimates that over 810,000 people work directly in the US biopharmaceutical industry. In addition, up to 3.4 million jobs are supported by the sector across the country. The industry as a whole contributes nearly $790 billion in economic output. Most importantly though, for anyone considering a change of career in this industry, this strong industry, and strong manufacturing presence brings with it, well-paying jobs. The average wage of biopharmaceutical workers in the US is higher than average wages of all other private sector industries. In fact, PhRMA reported that in 2011, total compensation for biopharmaceutical workers was double the average employee compensation of the US ($110,490 compared to $54,455). If you’ve found yourself looking for a new career and are considering a move into this sector, there a huge number of companies currently operating here. For now, let’s take a closer look at top 10 pharmaceutical and medical device companies and their operations in the US. Area: Diagnostics, medical devices, generic pharmaceuticals, and nutritionals. Products You Might Know: The “Freestyle” range of blood glucose monitoring devices, Brufen, Similac. Brief History: Abbott worldwide was founded in 1888. Today, Abbott employs approximately 73,000 people in 150 countries – 2014 global sales were $22 billion. Abbott work in research, development, manufacture, and marketing of a range of products. They have several different areas of interest, including pharmaceuticals, medical devices, nutrition, and diagnostics. Presence in the US: Founded in the US, Abbott headquarters are in Illinois. Abbott Nutrition alone has production sites in six locations across the country, including Ohio, Arizona, Indiana, and California. Products You Might Know: Aranesp, Enbrel, Prolia. Brief History: Established in 1980, Amgen was one of the first companies to bring biotechnology-based products to patients. They led the way in developing innovative products based on advances in recombinant DNA and molecular biology, and they were responsible for biotechnology’s first blockbuster medicines. Their portfolio today includes treatments in the therapy areas of oncology, rheumatoid arthritis, and other autoimmune diseases. Presence in the US: Amgen has its headquarters in Thousand Oaks, California and seven other sites across the country. Brief History: AstraZeneca was established from the merging of two well-established pharmaceutical companies in 1999. They were seen to be compatible due to their shared views, “a passion for science and a clear vision of the pharmaceutical industry”. Today, AstraZeneca employs over 57,000 people worldwide. Presence in the US: US production sites are located in Newark and Westborough. There are also biologics production sites in Frederick and Philadelphia. Brief History: Baxter began in the 1930s by launching the first commercially prepared intravenous (IV) solutions and today, Baxter operates as a global diversified healthcare company. Its products serve disease areas such as hemophilia, infectious diseases, kidney disease, immune disorders and trauma treatment. In 2014, Baxter International Inc. reported sales of $16.7 billion and employed approximately 65,500 people worldwide. Presence in the US: Headquarters are located in Deerfield, Illinois. There are also manufacturing sites across the country, including Biopharma Solutions sites in Illinois, Indiana, and California. Over 35% of Baxter’s employees are based in the US. Brief History: GSK is one of the world’s biggest pharmaceutical companies, describing itself as a ‘science-led global healthcare company’. GSK took its current form in 2000 after a merger between SmithKline Beecham and Glaxo Wellcome, in 2014 it ranked as the sixth-biggest pharmaceutical company worldwide. Their products fall into three main areas – vaccines, pharmaceuticals and consumer healthcare. Presence in the US: US corporate headquarters are based in Philadelphia, PA. Research is carried out in sites in Pennsylvania as well as in Boston. Vaccines are produced and packaged in sites in Montana and Pennsylvania. Consumer healthcare manufacturing takes place in 5 different sites across the country, and primary supply manufacturing takes place in 3. The company employs over 16,500 people in the United States. Brief History: Founded in 1886 with the initial idea that wounds should be treated and dressed using sterile equipment – today’s Johnson and Johnson is one of the world’s biggest healthcare companies. Johnson and Johnson operate three distinct divisions – medical devices, pharmaceuticals and consumer health. Their products are marketed in 57 countries via almost 265 operating companies – global personnel is approximately 126,000. Presence in the US: Their worldwide headquarters are in New Brunswick, New Jersey, and there are multiple production sites from various related companies across the US. Brief History: Medtronic began as a medical supply repair shop in the US in 1949, their first commercial product was a battery-powered, wearable pacemaker. From then on they have focused on technology as a means of improving treatment. Today there is a focus on using that technology to improve treatment and management of chronic conditions specifically – Medtronic claims that “every 3 seconds, another life is improved by a Medtronic product or therapy”. In 2014, Medtronic bought Irish company Covidien to further expand their scope. Since that merger, the number of employees has increased to around 84,000 worldwide. Presence in the US: Medtronic’s operational headquarters are based in Minneapolis. In addition, there are over 25 R&D facilities, manufacturing facilities, and distribution centers across the country. Brief History: Following their merger with Schering-Plough in 2009, Merck & Co is the world’s second-largest pharmaceutical company with operations in over 140 countries. They produce a wide range of products including vaccines and prescription medications for disease areas including diabetes, HIV, hepatitis C, oncology, and osteoporosis. Presence in the US: Merck & Co has several sites across the US including its headquarters in Kenilworth, NJ and one of its newest sites, for vaccine manufacturing, in Durham, NC. Presence in the US: Pfizer employs over 40,000 people across the US in more than 20 facilities, with employees in every state. The largest laboratory site in the Pfizer network is in Groton, Connecticut, which employs approximately 3,000 people. Manufacturing occurs in multiple sites across the US including Portage, Michigan where 2,100 people work to produce “sterile injectables, non-sterile medications, biologicals, alcohol-based medicines, and surgical sponges” as well as over 150 active ingredients for pharmaceutical products. Brief History: Sanofi has three key business areas – pharmaceuticals, human vaccines and animal health. In 2014, Sanofi was the 4th largest pharmaceutical company based on worldwide sales. They currently employ over 110,000 people in more than 100 countries. Presence in the US: US manufacturing for the company is based in Kansas City, MO. This site is described by Sanofi as “one of the company’s primary manufacturing sites”, producing a range of pharmaceutical products. The company also operates a packaging site in St Louis, MO. In addition, there are several affiliate companies operating in the US, including Genzyme (focussed on rare diseases), Sanofi Pasteur (producing vaccines), Merial (an animal health company) and Chattem (for consumer healthcare). So there you have it, 10 of the biggest pharmaceutical and medical device companies in the world, employing large numbers of people and investing a lot of money in the US. If you’re considering a move into this sector, you might want to take our 1 minute “Is Pharma For Me?” quiz which lets you see how suitable you are for a career in pharma or medical device manufacturing based on your career and educational history. You should also check out our Job Descriptions and Salaries page for an idea of the types of jobs you might be suitable for, as well as the average salaries for those jobs across the US. Head on over to the pharmaceutical courses page and view our range of courses. If you want more information or would like to discuss your particular situation, visit our Contact Us page or give us a call.